Today’s episode: It’s time to head back to Mightier Than the Sword with co-host Stephanie Spaulding! This week, we are talking GRATITUDE. After all, it’s Thanksgiving, and family, friends, and being grateful is what it’s all about. Steph and I share our current Thanksgiving plans (both of them unconventional) and we revisit our pasts, with memories both sweet and challenging, relative to the Thanksgiving holiday. I tell the story about a Thanksgiving that's been a secret...up to now. Tune ... See More in. It's the perfect side dish, whether you're having a traditional bird or a Tofurkey. Steph and I would love nothing more than to have you share the holiday with us. 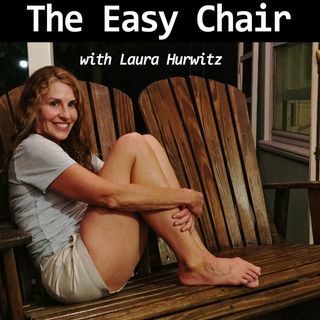 And as always, any questions, comments, or suggestions can be sent our way at easychairpodcast@gmail.com. We want to hear from you!